If you considering to relocate to Portugal, the average and minimum salary in Lisbon can give a good idea about the country’s economy. Even if Portugal still has the position of the poorest country in Western Europe, its attractiveness has grown recently. Let’s learn why Lisbon is attracting more visitors and immigrants below. Lisbon is the capital of Portugal and in the recent years, one of the most attractive cities in Europe. Its pleasant climate and good infrastructure are behind the reasons attracting foreigners to visit and move to Portugal. Let’s analyse the minimum and average wages in the Portuguese capital, and compare with the purchase power residents of Portugal have in Lisbon. The official minimum salary in Lisbon is of 600 euros per month as of 2019. That is the same minimum salary as in the rest of Portugal, with the exception of Azores and Madeira. In this islands, part of Portugal, the official minimum wage is slightly higher than the rest o the country. Source: Economias (in Portuguese). The official minimum salary in Portugal is the lowest in Western Europe. In fact it is even lower than some countries in Central Europe, such as Slovenia. Average wages in Lisbon are considerably higher than the official minimum salary. The average salary in Lisbon is around 860 euros, which is the highest for Portugal. The average wages in Portugal are still rather low figures for Western European standards. However, the quality of life in Portugal still manages to attract many new residents to the country. Many of them come from Brazil, France, Former Portuguese colonies in Africa and Eastern Europe. The economy of Portugal is heavily based in the tertiary sector. In Lisbon, the situation is not different, with most jobs available in the services industry. If you are considering moving to Portugal, you may find a number of opportunities in tourism related industries. Since Portugal has been experiencing a constant growth in the number of tourists, travel companies are expanding. Among these, you can find good opportunities in hotels, restaurants and guided tours services. Portugal is also a good hub for costumer support services. 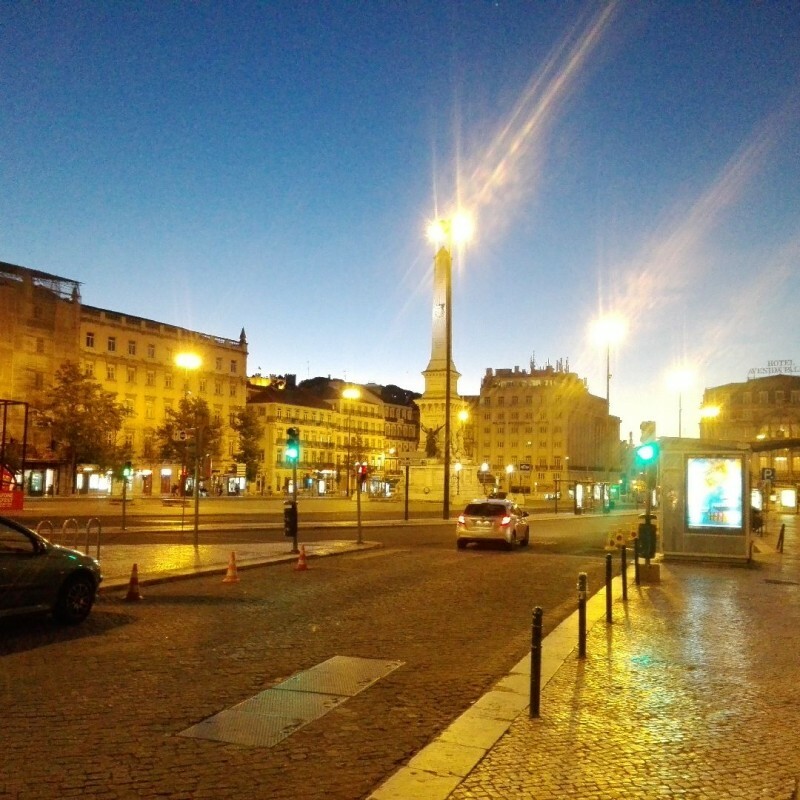 As Portuguese speakers are often fluent in many European languages (mostly Romance ones), many multinational companies have support offices in Lisbon. It is important to remember that real estate prices have been experiencing a sharp increase during the past years in Lisbon. For that reason, you may also want to consider other cities in Portugal, depending on the main purpose of your visit. If you are visiting Lisbon soon you might want to check some of our guides. Click here to see where to stay in Lisbon and the best places to stay in Porto. World Nomads: this company provides travel insurance in most countries around the world, and it might be a good option if you going for a long travel. Check in Price Flights: search for flights and compare prices with our flight comparison tool. Booking.com: Booking.com is the best choice for finding accommodation for your next trip, with a wide variety of choices for all types of travelers. Train Travel Guide: in our railway travel guide, you will learn how to choose and ride the most scenic train routes around the world, always in the most comfortable way with optimal prices to enhance your travel experience. Dating Guide: our dating guide will help you not only to find love but to understand the social customs of each country. It will also help you to avoid dating scams around the internet and find people really interested in honest relationships. Work Abroad Guide: Learn how to find a job and employment requirements in different countries. From the initial job search, to bargaining salaries, this guide will help you to find job in most countries around the world. It also covers about remote work and TEFL jobs. I am Portuguese but i live abroad, due to the lack of jobs in my education area and all the rest pay the aforementioned terrible 557 euro salary which does not even allow you to live with basic needs by yourself. Do not forget – even qualified jobs are now stated as “internships” and pay 557 of salary to qualified graduates. Almost never a intern gets a full position. He/she is replaced by other intern. If you are lucky and have a good CV or PhD expert, then you probably find something better paid. But if you are a beginner, uh-oh, you´re in most of cases, stuck in the 557 salaries. It might take a while (years) until you get the average salary of 860 euros. (except for medical doctors, computer scientists and a few more) Maybe at 40 years old you will be able to get you own place. Sad but true. Most salaries of new jobs are minimum salary now. Tourism is growing , yes. BUT, I think you can only find a decent job in hotel/restaurant only if you are educated in hotel/restaurant subjects and with a nice CV. Maybe, if you´re very lucky…because most of salaries – even to educated people in hotel jobs is minimum salary – like, forever, and precarious. Tourism is growing – BUT no improvement to intrinsic labor conditions. Just more jobs available. But still precarious and badly paid. Housekeepers, receptionists, night watchers, etc earn minimum salary in Portugal. If you want to go to Portugal for only a summer job as a youngster to enjoy some beach and surfing, etc or if you are older and have a PhD something, or if you come from a wealthy family and want to open a cool restaurant, that´s fine. If not, think twice before you move. I am an educated person and in Portugal I´ve been struggling to make ends meet and basic needs paid and with a broken heart and broken dreams in the queue for employment center. It is Heart wrenching. But not all is bad in Portugal. We have cheap beer, cheap wine, boiled snails with oregano, and roasted sardines. Thank you for your insight, I think it is mostly accurate in many situations reflecting the Portuguese economy. The situation also depends a lot on which economic sector you work. The average salary in Portugal is the lowest in Western Europe, which should be a shame for the Portuguese government. The country has a trailing economy, not a leading one. It lives from the peanuts of the tourists. The way of doing business in Portugal, the “negócio”, mainly buying goods from abroad and selling them at even higher prices in the country. In this way, the country losses litle by litle it’s financial capital, the “atmosphere” throughout space. There is no dinamism in this country. It is like an inert asteroid. I live here for 15 years, without noticing economical improvements. Copyright @ 2019 Check in Price. All Rights Reserved. Theme by ThemesBros. Powered by WordPress.